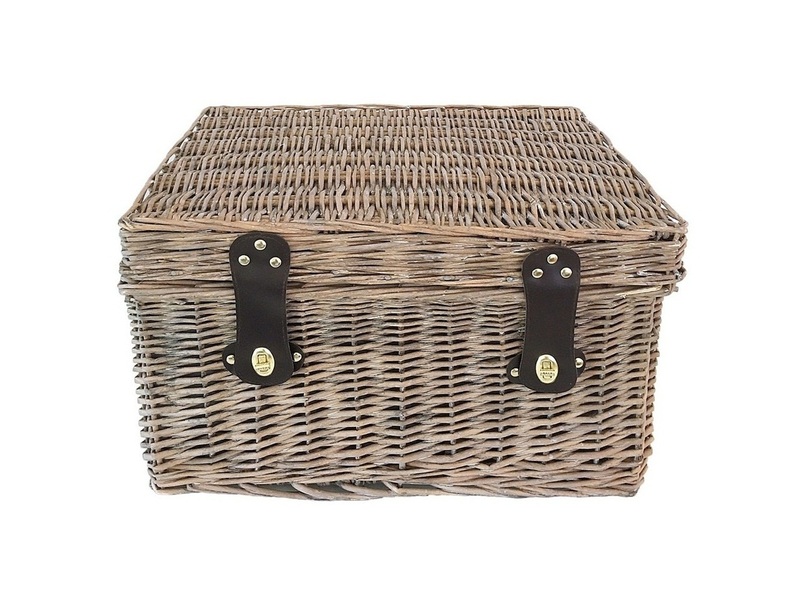 Please make sure that you select a box or basket for your products to be curated in. Just the basics - brown cardboard box, card and message, includes delivery. No gift wrapping. Eco-friendly, recycled paper gift box in various sizes to suit. Unlimited number of items individually gift wrapped, handwritten message on textured stationery card, includes delivery. 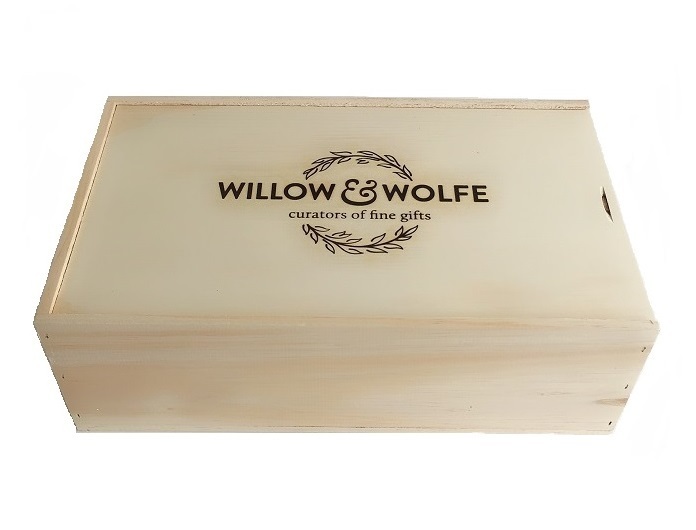 Custom made, rustic sliding lid wooden box, heat branded logo. Up to 8 items individually gift wrapped, handwritten message on textured card, includes delivery. *Some items may not fit in this box. 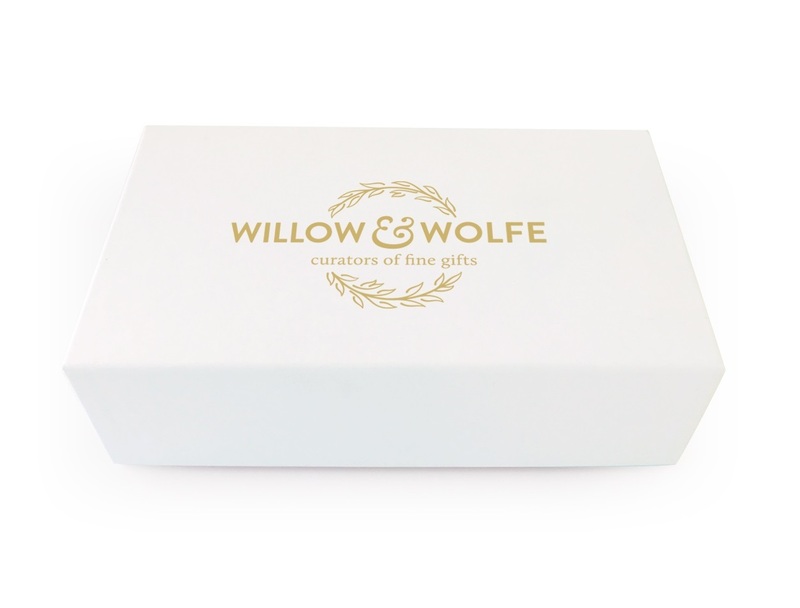 Custom made, luxurious white linen box, gold embossed logo. Up to 10 items individually gift wrapped, handwritten message on textured card, includes delivery. *Some items may not fit in this box. 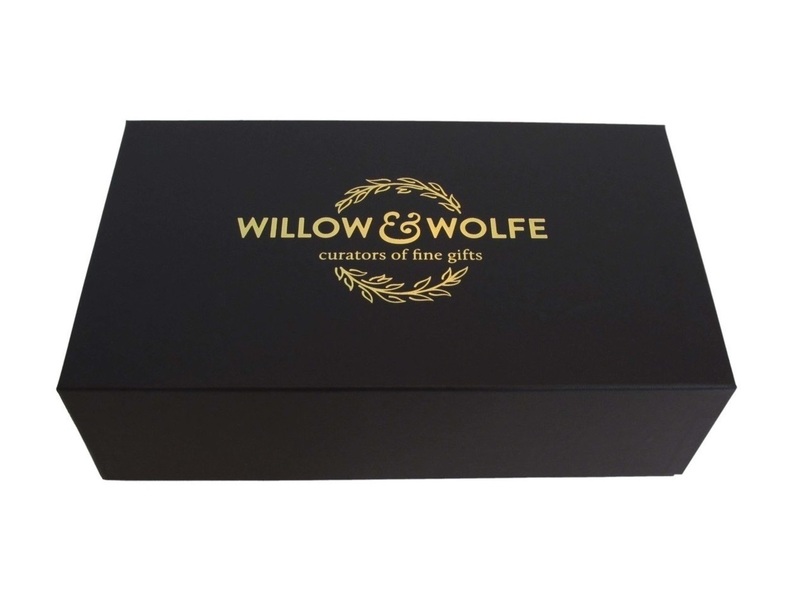 Custom made, luxurious black linen box, gold embossed logo. Up to 10 items individually gift wrapped, handwritten message on textured card, includes delivery. *Some items may not fit in this box. Custom made, hand-woven, leather strapped, willow basket. Up to 12 items individually gift wrapped, handwritten message on textured card, includes delivery. *Some items may not fit in this basket. 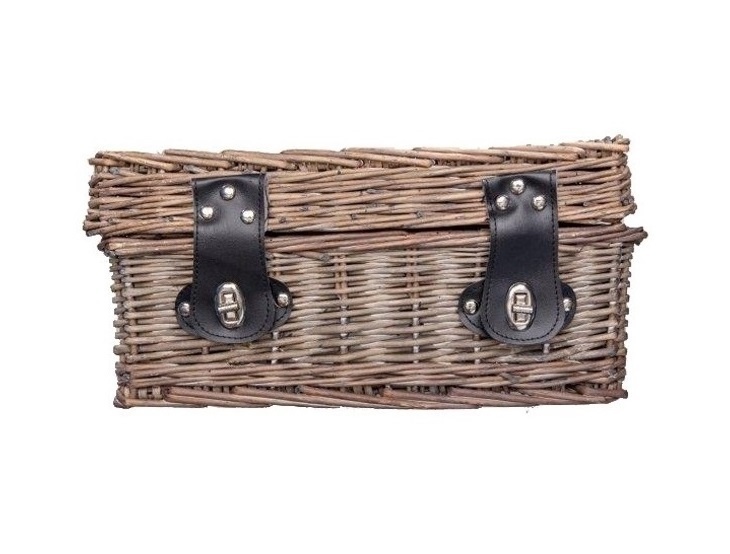 Custom made, hand-woven, leather strapped, willow basket. Up to 25 items individually gift wrapped, handwritten message on textured stationery card, includes delivery.